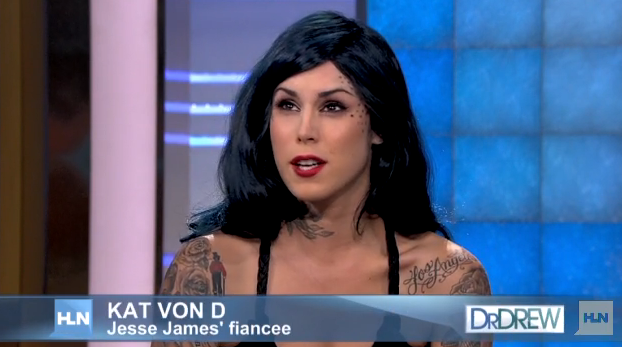 Last night, Dr. Drew chatted with Kat Von D to discuss her childhood, success at sobriety, and her controversial engagement to Sandra Bullock’s ex, Jesse James. Blahhhh. Has any of this changed your opinion of her?